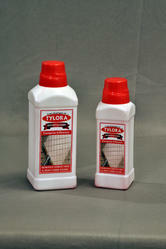 Tylora is a multi-surface cleaner quickly cuts through calcium, lime and hard water deposits, soap scum, dulling film and dirt. Fast-acting and powerful formulation to make short work of stubborn dirt, calcium, lime, hard water stains and soap scum. Contains no Phosphates, ammonia or bleach. Looking for Tiles Cleaner ?